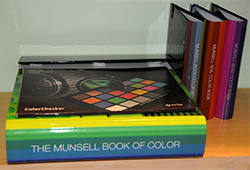 Munsell Color System; Color Matching from Munsell Color Company > Munsell FAQs > What is the Best Way to Store Color Books & Charts? What is the Best Way to Store Color Books & Charts? You made the investment in a Book of Color, Soil Book, Custom Color swatch or other color communication product. Now you want to ensure the colors remain stable and the charts can be used for as long as possible. That means you need to take care of your charts and the best way to do that is to store them properly. Follow these guidelines for optimal storage conditions for your color books and charts. Where to store color books and charts? What to store color books and charts in? These types of materials tend to encourage mold growth which we want to avoid. Make sure the area you are store the color charts in are dry and not in a place that could potentially flood or get water damage. In addition, although the color chips are not susceptible to insects or bugs, it is best to keep them in a place where these little critters can’t get to them. The number one thing that will cause the most damage to your color books or charts is high heat, extreme cold, or direct exposure to sunlight. Ultraviolet light is what is going to shift the color the most. So when you are working outdoors, try to put your books and charts away when they are not in use. Don’t leave your charts in the car, especially in the sun. 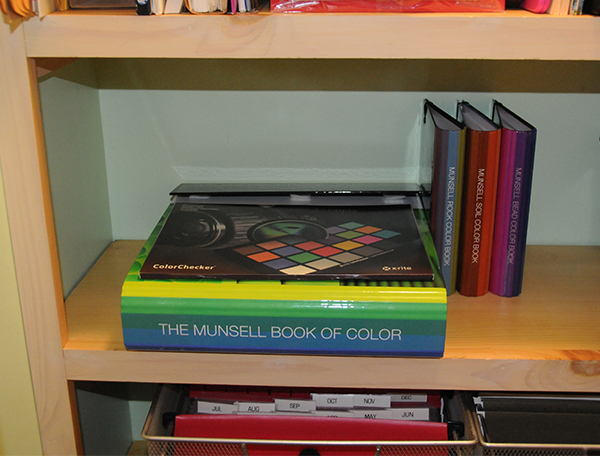 Take care of your color charts and books and they will provide you with consistent, reliable results for years.